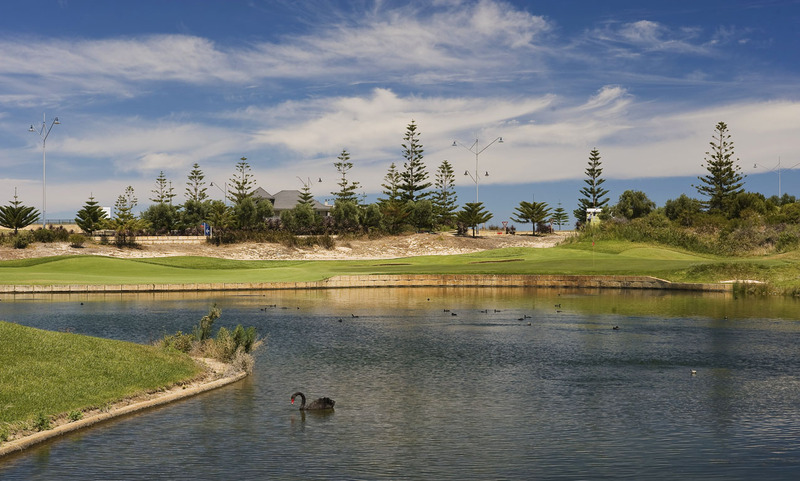 Located just outside of Mandurah, about 40 minutes’ drive from Perth, Secret Harbour Golf Links is one of those courses that falls into the “you could play it every day” category. 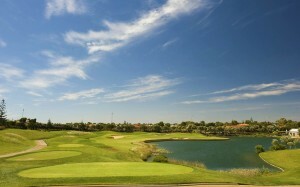 Designed by Graham Marsh (who has also crafted other excellent courses like Eynesbury, Twin Creeks, Growling Frog and the brand-new Kalgoorlie GC), Secret Harbour features wide and generous fairways, soft greens and some truly scenic holes. Rated among the Top 10 courses in WA, it’s a fantastic course for players of all levels, and it offers plenty of enjoyment and challenge along the way. It also features some quirky local rules, as we discovered during our recent visit. While the immediate fear would be that the fairways would then look something like the road to Baghdad, I was amazed at how beautiful they actually were. In fact, they were as good as any fairways I’ve played in Australia. The quick-growing grass tends to fill in the divots rather quickly on the course, so player repair isn’t really necessary. Another unique point about Secret Harbour is that the bunkers are purposely not raked. If you get stuck into a bunker, you simply pick up your ball, wipe a nice lie in the sand, and place your ball. While this may bother the golf purist, this gives all players an equal chance, avoids those impossible “Footprint lies”, and eliminates the need for rakes and bunker maintenance. It also speeds up play a bit, especially for the higher handicapper who has enough trouble escaping the sand at the best of times. And let’s face it, it’s probably fairly close to the way golf was meant to be played anyway. The rough is an absolute pleasure to play from (and I was in it often, so I know for certain). Fluffy and lush, the ball sits up nicely, and gives you many opportunities for those fun flop wedge shots or solid long iron approaches. 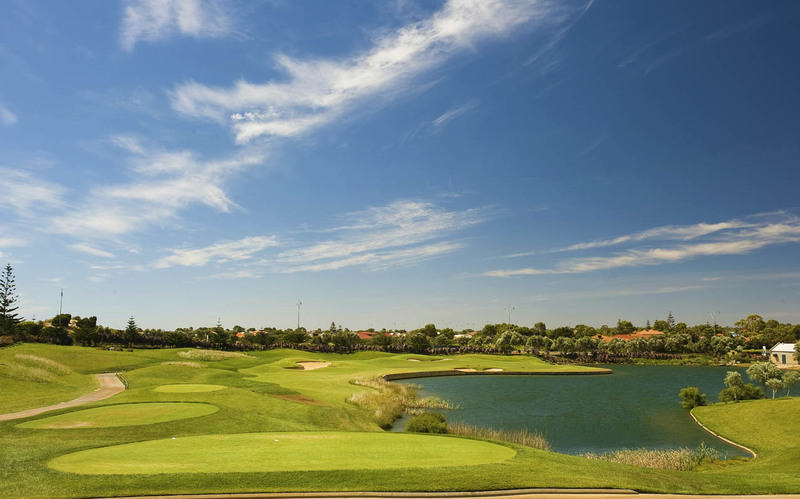 The rolling fairways play alongside natural sand dunes, and there are some nice views of the surrounding suburb and even some glimpses of the ocean. It has a very “coastal” feel to it, without the noisy seagulls or ocean mist. There are many great holes at Secret Harbour, but as I am always a sucker for a par-3 over water, I rate the 179m 8th as a favourite. As close as you can get to an island green, this baby requires a solid tee shot if you want to get anywhere near the green. A marvellous hole. The par-4 17th is also a cracker. 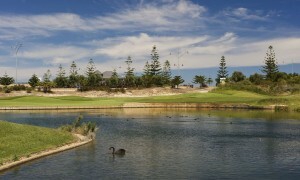 Secret Harbour’s signature hole, this short but challenging hole features treacherous bunkers as well as a bit of water. With roughly 200 metres to the water (depending on the tee marker) it is crucial that you play for position. The next shot is a knee trembler with the green sloping back to front. It’s important to keep the ball under the pin on your approach, because a downhill putt from the top of the green can roll into the water. For the most part, the par-5’s are solid 3-shotters for the average players. Big hitters will be able to go for many of the greens in two, but will be in severe bunker/rough trouble if they miss. Risk-Reward is the name of the game, but you’d better have an impeccable short game to clean up your messes. There are some really great holes at Secret Harbour. Best of all, though, is that every one of them is playable, fair and enjoyable. This fact makes it an ideal spot for corporate golf days and social events. But don’t assume that it is an easy course. On the contrary, it’s got plenty of challenge for even the country’s best players, and there are whispers that it may be hosting a top-tier event in the near future, most likely the WA PGA Championship. Of course, no review of Secret Harbour would be complete without mentioning the latest addition: their new $2.5 million dollar clubhouse renovation. 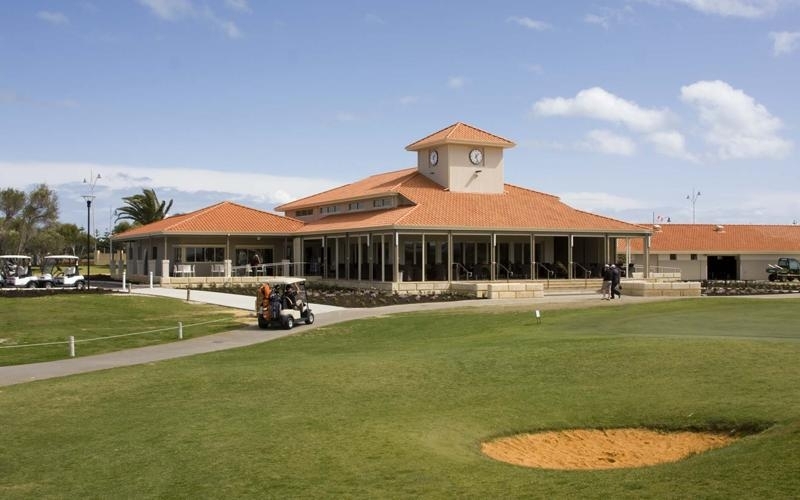 A stunning facility that can accommodate functions of nearly any size, the Secret Harbour clubhouse – namely their “The Secrets” restaurant – is sure to become one of WA’s more popular function venues. Recently opened during last year’s RE/MAX Longdrive Championships WA event, the facility features new member locker rooms, professional kitchen, fully-licensed bar and a stunning new function room. The verandah overlooks the practice putting greens and driving range, providing a delightful alfresco setting for business meetings, social golf presentations/barbecues, or even large-scale events like weddings. Not to be forgotten is the newly fitted-out Secret Harbour Golf Links Pro-Shop (open seven days a week from 6.30 – 7.30pm), offering a variety of brands such as Callaway, Ping, Titleist and Srixon. From apparel to shoes to balls and more, it’s a one-stop shop for all your gear. 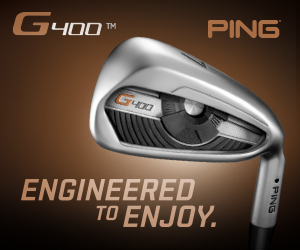 Plus, with a full selection of clubs, and a driving range on which to test them all, it’s an ideal opportunity to get fit for a set of sticks that match your specific game. Indeed, we’ve spoken at length about the importance of proper clubfitting, and Secret Harbour is a great location to get it done. It’s also a cracker if you want top instruction, as Secret Harbour is also the home of the Peel Golf Academy. Led by award winning coach Craig “Tappy” Tap, the Peel Golf Academy offers lessons 7 days a week and boasts the largest junior golf program in Western Australia. Whether you’re a beginner or seasoned ball-striker Craig and his team will guarantee improvement in your game. And they are super friendly too. Overall, the recent upgrades and renovations at Secret Harbour have put it on par with the best courses/facilities in WA, and it really offers the “Total Package”. So do yourself a favour, and make it a point to check out Secret Harbour on your next visit to WA.